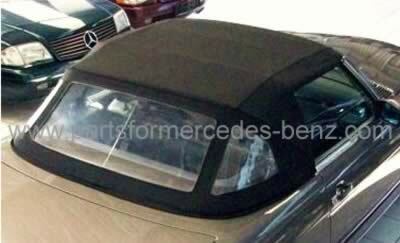 To Fit: Mercedes SL 1972-1989. All Hoods are manufactured to original specification and carry a full 12 month guarantee. Supplied ready to fit with all three rear windows! Please note, material only is supplied, not the roof frame or mechanism. * Black or Blue are the stock options for replacement hoods, other colours are available on request, but may have and extended lead time.